The Food & Beverage industry is a very competitive segment, highly dependent on efficiency and flexibility. Revenue is determined by popular demand, seasonal production and population growth. As smaller Food & Beverage companies consolidate into ever larger congolmerates, it is difficult to maintain control over the entire production process. Stability is hard to find, right? Wrong. With a data-driven approach and a fully connected supply chain, every F&B company can grow in a sustainable way and benefit from the enormous opportunities in this industry. Growth markets, new packaging possibilities or consumer-focused labeling, the future of the Food & Beverage industry is ripe for the picking. 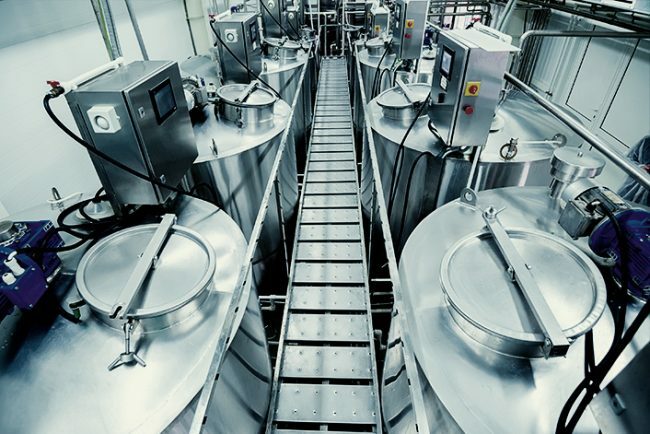 INDEFF has realized its largest automation projects in the Food & Beverage industry. As a result, INDEFF possesses an up-to-date understanding of all processes involved.